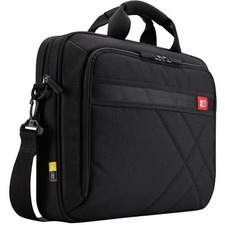 Case contain two front organizers pockets for media devices, cell phone, business cards, key chain holder and pens. 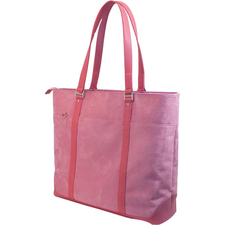 Front zipper pocket provides for small miscellaneous items. 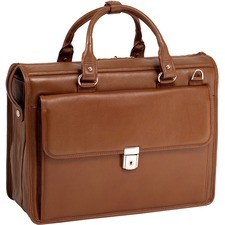 Front compartment with accordion file for all your document needs. 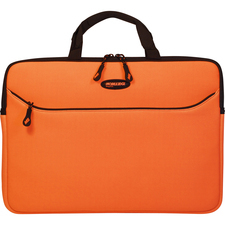 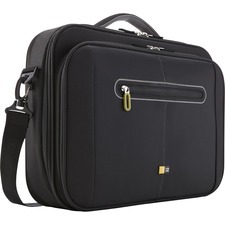 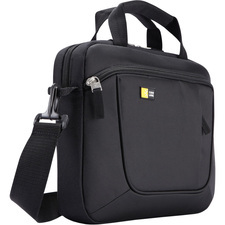 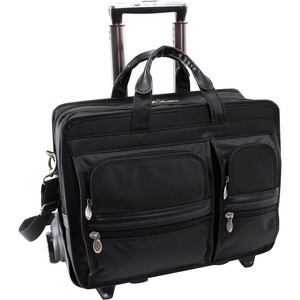 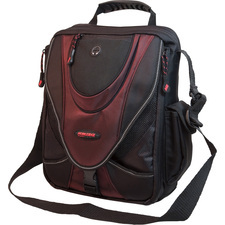 Smart Zipper Attachment allows transport on extended handles of other rolling cases & luggage. 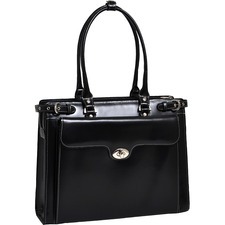 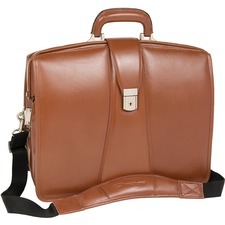 Bag size with frame: 19.5" x 9.5" x 14.25"
Shoulder strap drop length: 13" - 19"